In 2016, I had the opportunity to be a speaker at LitmusLive Boston, where I talked about the challenges of coding email in regulated industries. But, while I had an absolutely amazing time at the conference, overall...I can’t say that I felt nearly so positively about my own talk. It was my first time speaking for a large group, and I was so sure that everyone would immediately dismiss me because of my age – who is this millennial, up on stage, trying to tell us how to do our jobs? What could I possibly know that would be of value to these people? I don’t have a Computer Sciences degree, so what was I doing speaking about anything even vaguely related to development? I wondered if I should have included a live demo or something, to prove that I knew what I was doing. With all those thoughts racing through my head as I stepped on the stage, I also raced through my presentation – coming in a full 10 minutes short. When the conference team released the presentation videos a few weeks later, I watched mine over and over again – beating myself up over everything from how I spoke and how I walked, to how much I had gestured and how I had worn my hair that day. None of it felt good enough. I wished I could go back in time and try again, fixing all my stupid mistakes. Even though I had friends and coworkers who had specifically asked me if they could watch my video, I couldn’t bring myself to show it to anyone. I felt like, if they watched it, it would undermine the accomplishment of actually having spoken at the conference – like they would see it and the terrible truth would be revealed: “Ah, she did give the talk, but she did it so poorly that it doesn’t count. This, at its heart, is what Impostor Syndrome is. It’s the constant nagging voice in the back of your head telling you that you’re unqualified to do what you’re doing. And it’s being absolutely convinced, even after you do it, that your success was only due to luck, coincidence, or outside help. Drs. 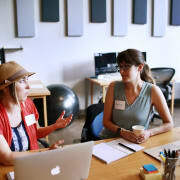 Pauline Clance and Suzanne Imes were the first to gave it a name – originally "Impostor Phenomenon" – in their 1978 paper for Psychotherapy Theory, Research and Practice. It was first defined to refer to “high-performing but inwardly anxious women, although the definition has since been expanded since, and we know that anyone can struggle with this. They also defined these stages in the impostor cycle, which (if you’re anything like me) probably look pretty familiar. 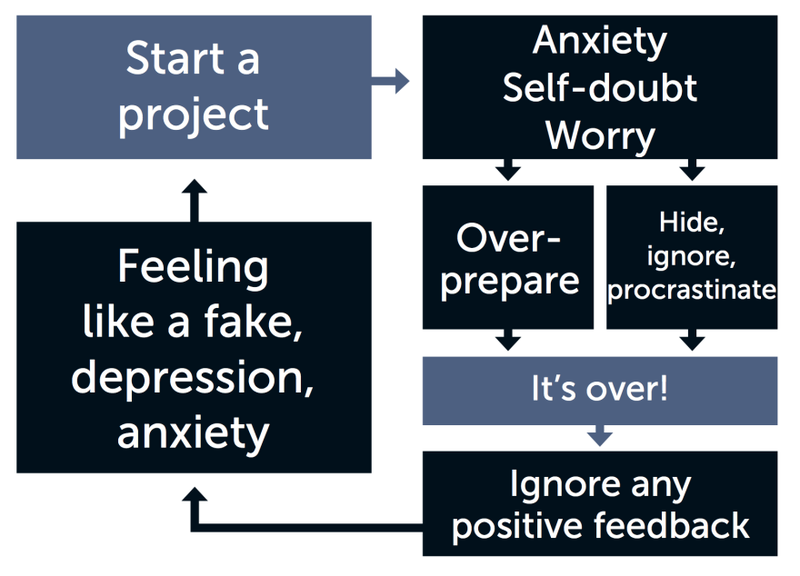 The cycle begins when we start a new project, and is immediately followed by feelings of anxiety, self-doubt, and worry: “Why did I start this? I can’t do this. I have no idea how I’m gonna pull this off! We tend to respond to this in one of two main ways: we will either buckle down and over-prepare (working late hours and setting a rigorous / ambitious schedule for ourselves), or completely deny that there’s an issue at all (procrastinating and ignoring the problem in the hopes that it magically goes away). Either way, the project inevitably ends. When it does, we disregard any positive feedback we may have received and instead choose to focus only on the negative, really dwelling on it. This swells into general feelings of incompetence, depression, and feeling like a fake or a fraud...until the next project starts. And so it begins again, amplifying with each cycle, becoming a harder and harder habit to break free of. The more we go through that cycle, the more those steps become ingrained in our mind. Before long, “I can’t do this has become an automatic reaction when a new project is assigned. The more involved I’ve become in the development community, the more I feel that this is a deeply relevant topic for all of us. And honestly, I don’t think it’s hard to see why our industry is especially susceptible to Impostor Syndrome: we work in a field that is constantly evolving and changing. Things that were standard five years ago are laughably outdated today. Five years from now, the things we think today are the “future of the industry will be proven to have only been a fad. Frameworks, libraries, operating systems, devices, and whole coding languages will come and go over the course of our career. Not to mention, we work in a field that seems to be nearly impossible to explain to someone outside that field. All these things have an impact on our day-to-day morale, on our feelings of burn-out over several years, and absolutely are factors in our feelings of Impostor Syndrome. I think, very often, we are also adding to this problem by selling ourselves short – hung up on this vision we have in our heads of what the perfect developer is supposed to look like. 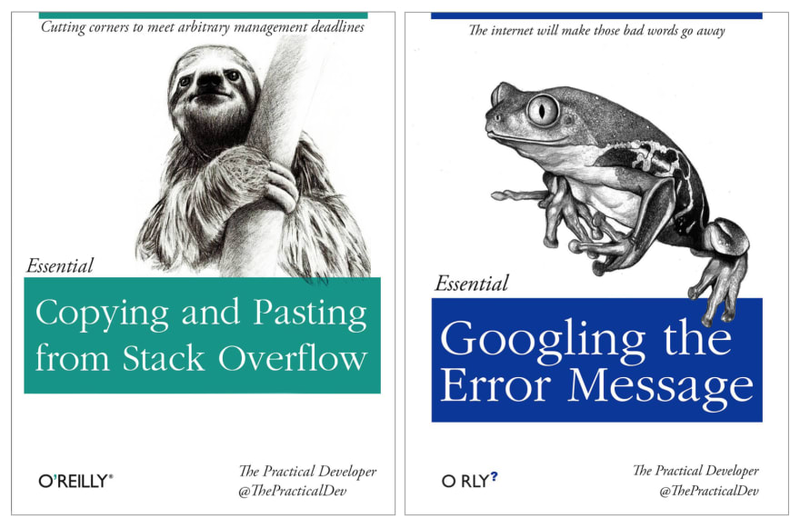 Someone who’s immediately an expert at every language they pick up, always on the cutting edge, using all the newest, coolest frameworks, and answering every unresolved question on Stack Overflow. And somehow, they’re able to do all that without ever having to Google a bit of code or ask anyone for help. So, of course we’re falling short, when that impossible benchmark is what we’re comparing ourselves to – that person we’ve imagined is completely unrealistic. Wanna know the truth? We are all just flying by the seat of our pants a little bit, making this stuff up as we go. And we all have to Google stuff, I promise. Well, my friends: here is the good news: it all counts. Every single thing. The very first thing you coded was the one that made you a developer, and each one since then has just made you a better, faster, and more knowledgeable developer. A lot of us ended up here after transitioning from other fields: design, UX, or any number of backgrounds. Even those of us with a formal degree are still adapting, still learning in the school of trial and error. We are all in this together – holding out our hands to the dev next to us, pulling them up. Sharing knowledge and experience; tips and tricks; gripes and successes. All of this, because we are still in the process of creating and shaping the Internet, as we know it. On August 6th, 1991, the World Wide Web first became publicly accessible – making it 26 this year (the same age as me!). Honestly, how much of an expert could anyone possibly be in a field that simply did not exist 26 years ago, and that has not stopped changing for a second since then? Last year, at An Event Apart, it was pointed out that we are still in the first 10,000 days of the web...and, really, that’s the coolest part of this job. We get to be here, during the formative days of the web. We get to create this! We are shaping the future of this industry each and every day, and that is such an amazing privilege and such an incredible time to be a web developer. The reality is, most of us are gonna fall somewhere in the middle of a spectrum that stretches all the way from total novice to total expert and...that's okay. In fact, that’s how it’s supposed to be. Wouldn’t it be boring to work in a field where you already knew everything, anyway? Isn’t the fun in the challenge – in pushing through problems and discovering new solutions? We all enter this spectrum at different ages, with different backgrounds and different life experiences that have shaped us and that shape our work. And that makes our work better – it makes it more interesting and more diverse. It’s so important for us to honor where we are in our career journey and embrace those things as the strengths that they are, rather than (as we so often do) holding ourselves back by thinking of them as weaknesses. Because, that’s really the worst part of Impostor Syndrome – not just how it makes us feel, but how it holds us back. It’s the voice in the back of your head that stopped you from writing that blog article you’ve been kicking around. It pulled you back from that volunteer mentoring opportunity with your local dev group, because what knowledge could you have to share? And it held you back from applying to speak at that upcoming conference, because what do you have to contribute, anyway, right? Wrong. It is lying to you. You are qualified. You have unique experiences that are worth sharing, and you deserve to lean in and take up space and make your presence known here. You are a part of this community, and you are contributing to the future of development just by being here; just by showing up and doing your job every day. So, here’s the thing about Impostor Syndrome – its strength comes from your isolation. Because, if you’re not talking to other people about your experiences and your struggles, why would you ever assume that anyone else might be feeling the same way you are? It takes a little bit of vulnerability – a little bit of courage – to admit that sometimes it doesn’t feel like we have it all together. It feels like kind of a gamble, like a trust fall. What if we really build up our courage and approach our coworker and say “Hey, I’m really having trouble with this. But what we get back from them is something like “What? I have no idea what you’re talking about. I’ve never felt like that. Really anytime we have to be vulnerable, the fear is in the risk that the other person just doesn’t understand or can’t identify. So we don’t talk about it, because we can’t risk having those worst fears confirmed and being exposed as the imposter – the odd one out. We put our heads down and we keep our mouths shut, and that is what allows the cycle to continue, unbroken. However, I can absolutely, 100% guarantee you that you are not the odd one out. You are not alone in this. Over the last several months, while preparing the presentation this article is based on and giving it several times, I’ve had the amazing opportunity to talk about Impostor Syndrome with people in the tech community from all around the world. I made an earlier post here, on dev.to, in which I asked people to share their experiences with Impostor Syndrome – and the response was absolutely overwhelming. The comments are filled with these stories, these really honest confessions of feeling inadequate: not young enough, or old enough. Not fast enough, current enough, or clever enough. Not good enough. I really encourage you to go read through all those comments, because each one is absolutely worth reading. And as you read through them, I truly hope that they resonate with you and reinforce that it is absolutely not just you that feels this way. The key to breaking the Impostor Syndrome cycle is having more and more conversations like those – calling Impostor Syndrome by its name and talking about it. Because being able to see Impostor Syndrome in our own lives, recognize it, and name it is the most important part of overcoming it. That is what gives us the tools we need to talk about it. So much of this issue is rooted in the assumption that you're the only one experiencing this, but knowing that it's so common that we’ve named it can really help put things in perspective – if everyone’s an impostor, then nobody is! Step away from social media. We all know that social media is the highlight reel of other people’s lives, but even knowing that, it can still be hard not to compare. Remember that you’re only seeing the parts of their lives that they want you to see – everyone stumbles, fails, and has to pick themselves back up and try again, but they don’t often make Facebook posts about those moments. When you catch yourself playing the comparison game, that may be a sign that it’s time to step back a little. Own your own accomplishments. When someone says “Good work, – embrace it! Don’t diminish it with an “Oh it was nothing or “I couldn't have done it without help. Practice gracious acceptance – say “Thank you, I worked really hard on this and I’m very happy with how it turned out. I’m glad you like it, too. And then maybe add it to that aforementioned list. Find a mentor, or become a mentor yourself. 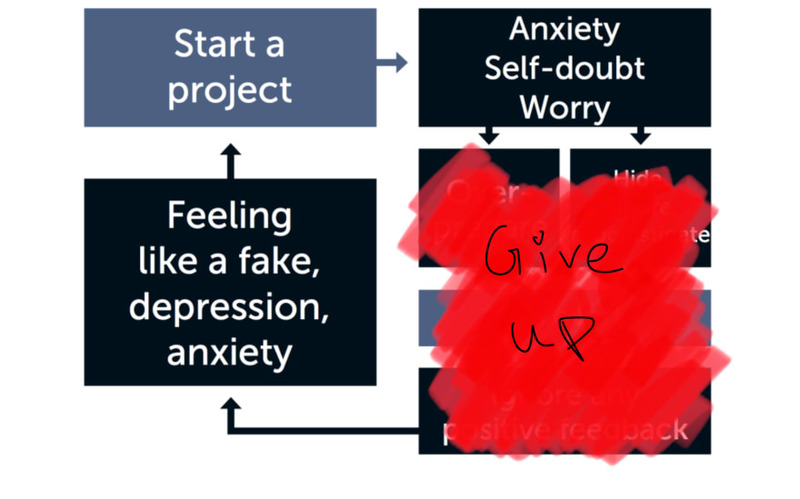 You can do both at once, if you like, and both will help conquer Impostor Syndrome. Having a mentor who can honestly and objectively assess your skillset, as well as helping you fill in any knowledge gaps you may have, will make you feel so much more confident at work. Whereas becoming a mentor will reinforce for you how much you really do already know. And if your mentee asks you a question you don’t know the answer to yet – well, it’s often said that the best way to learn is to teach. Take this quiz. I don’t want to spoil it for you, but...you’re a real developer. Finally, and by far most importantly: push yourself into new situations, even when you don’t feel 100% qualified. Take on challenging projects, even when you’re not totally sure you can do it. Don’t be afraid to take on new things and push your boundaries – it’s the only way to get better! The first time might not be perfect, and that’s okay. You’ll probably do better than you think, and if you do end up stuck, there’s never any shame in asking questions or reaching out for help. When we push past that uncomfortable feeling and force ourselves into new, uncharted territory – that’s where the good stuff happens. By constantly telling ourselves we shouldn’t or we can’t, we’re not doing anyone any favors – not ourselves, and certainly not the industry as a whole. Get involved. Make connections. Share experiences and immerse yourself in this community, because it exists for you! Pushing yourself through Impostor Syndrome is not easy, but I can promise that on the other side, there is an absolutely amazing support system...just waiting for you. Thank you so much! 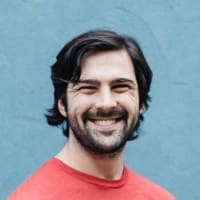 I started coding about 2 years ago and always felt like I wasn't good enough. I expected myself to know everything by the end of year 1. As Bill Gates said "Most people overestimate what they can do in one year and underestimate what they can do in ten years." Just imagining how much I've learnt in the past year makes me proud. Imagining what I'll learn in the next 10 makes me ecstatic. There are still many days I feel like I'm not making it but then I read some blog like yours and it makes me realize what really matters. Just started development a year or so ago, professionally, took up and learned too many things too fast. At a new company now with very experienced people in the field. A huge part of the article is what I feel almost all the time before approaching anyone. This is a great piece, I totally agree that a big part of overcoming imposter syndrome is embracing the fact that we're in a field designed so most people will never know everything. That's really just a prerequisite to being a coder, since it requires having the drive and enthusiasm to keep learning. That graph may make a great inspirational poster to many junior devs around here! I concur, as long as you have the motivation to keep learning you will succeed and that in this industry there is an amazing support system. This is exactly what I needed to read. Before reading this piece, I didn't know that there was actually a name to what I was feeling. This quote helps me get through it a lot of the times. "Because if Neil Armstrong felt like an imposter, maybe everyone did. Maybe there weren’t any grown-ups, only people who had worked hard and also got lucky and were slightly out of their depth, all of us doing the best job we could, which is all we can really hope for." By constantly telling ourselves we shouldn’t or we can’t, we’re not doing anyone any favors – not ourselves, and certainly not the industry as a whole. Honestly I think imposter syndrome mostly stems from our culture. The vast majority of people emphasize humility at all costs, and being confident or proud of yourself is almost universally seen as a negative trait. Because of this culture, when you're confident in yourself, people automatically start analyzing you and trying to find flaws and cut you down because, secretly, they feel inadequate themselves and they wish they were as confident as you. Another effect is that people no longer know how to receive feedback. They won't accept praise because then they feel like they are bragging, but they won't accept criticism either, because then they feel attacked. It is a lose-lose situation for those who cannot break the cycle. This is one of the few articles I've seen on here that isn't mostly fluff or purely entertaining. I appreciate the effort you put into writing a quality article about something I feel almost all of us have experienced. Thank you! I read this whilst my wife was watching TV. I've been trying to explain to her the core concepts of Imposter Syndrome and I've never quite felt like i nailed the explanation. I asked her to pause as I read the odd sentence from your article to her, that perfectly articulated what I'm feeling. I soon realised I was asking her to pause every paragraph :P You completely nailed the concept, and the feelings that we have with this syndrome. So I wanted to say thanks for taking the time to post this. Definitely going to try and put your suggestions into play and work on building my own confidence.